chocolate pudding, and fluffy whipped topping. It's a chocolate lover's dream! I don't know about you, but the summer feels like it's flying by! How is it already July?? It seems like the kids just got out of school. I'm trying to savor each day, each moment, because the new school year will be here before I know it. My youngest son will be a senior in high school, and my oldest a junior in college. I know, how can it be?! My oldest is starting at the University of Michigan and getting his first apartment and I just can't figure out how it's all happening. Seems like just yesterday he was going off to Kindergarten! Anyway, excuse my nostalgia today, I'm just having a moment. Let's talk about chocolate, shall we? Because chocolate always makes everything better. 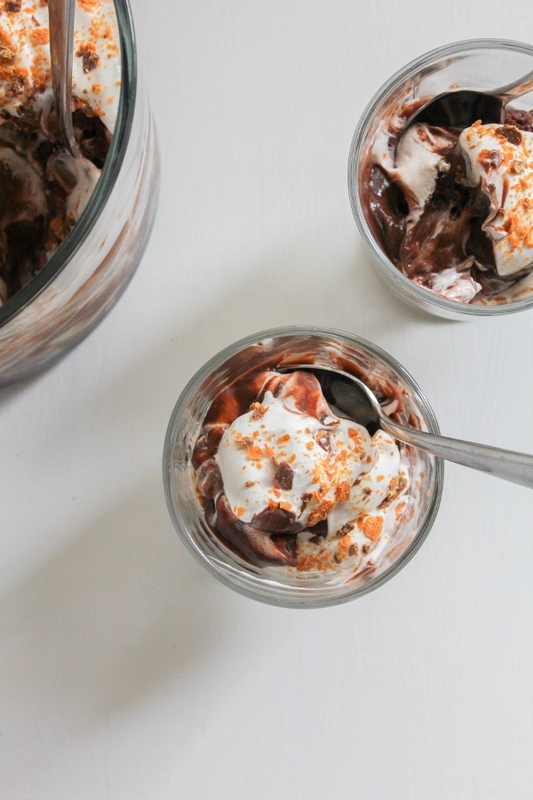 Recently for a family gathering I made this amazing Butterfinger Brownie Trifle. It's layers of brownies, chocolate pudding and whipped cream, and it couldn't be easier to make. Everyone was in awe of how delicious it was, and I was really excited at how simple it was! They thought it took a long time to put together, and I just went with it. It was my little secret! 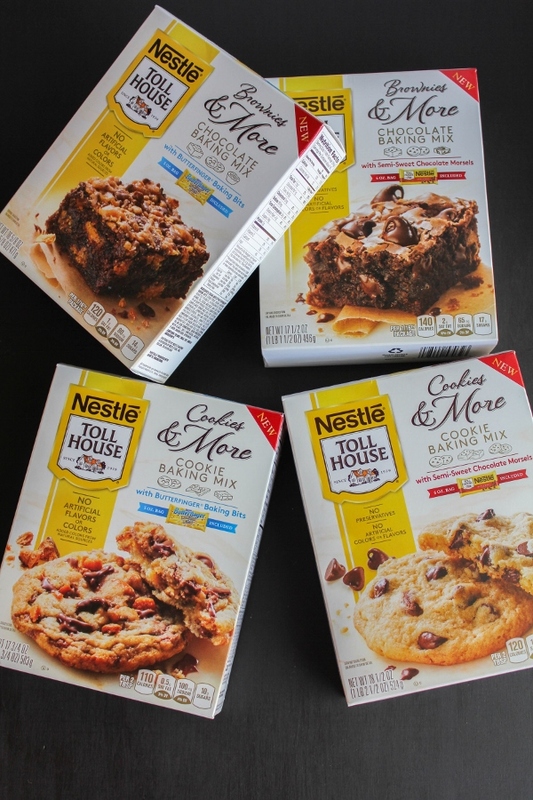 Have you tried the new Nestle Toll House Baking Mixes yet? If you haven't, I highly recommend them! The line includes Brownies & More with Butterfingers, Brownies & More with chocolate morsels, Cookies & More with Butterfingers, and Cookies & More with chocolate morsels. With no artificial flavors or colors, it's something I can feel good about making for my family. 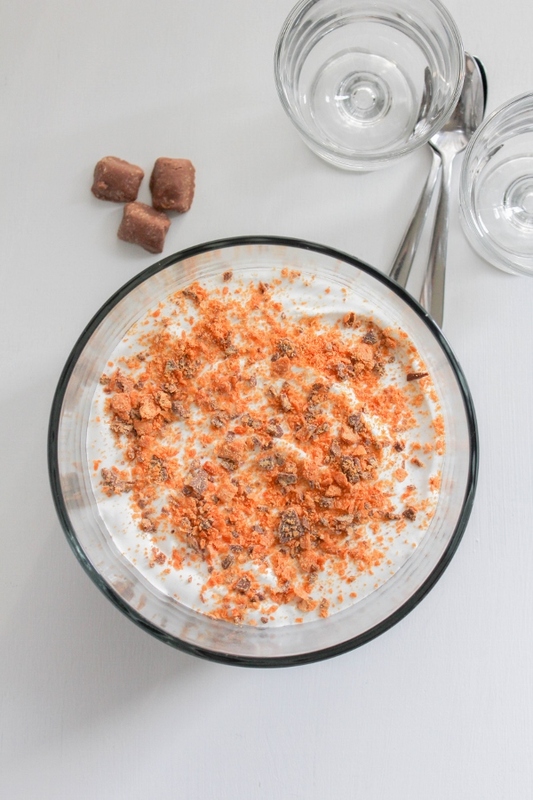 These mixes also allow me to easily add my own special touch and make a dessert that will wow my family and friends, like this Butterfinger Brownie Trifle. The best part about this dessert is how simple it is to make. Just a few steps, a few ingredients, and you've got yourself a decadent dessert that's perfect for a potluck or picnic, or just for you and your family to enjoy. Bake the brownies, layer everything in a pretty glass dish, let it set up for a few hours and it's ready to go. Get more inspiration and learn about the new Nestle Toll House Baking Mixes here. You can also find more delicious dessert recipes at the Very Best Baking website. Are you ready to get started and make this decadent chocolate lovers dream? Preheat the oven to 325 degrees. Line an 8-inch square pan with aluminum foil, leaving an overhang on two ends. Spray the foil with non-stick cooking spray. Prepare the brownie mix as directed on the box. Spread the batter in the pan and bake as directed. Cool completely. Make the pudding as directed on the box, using the three cups of milk. 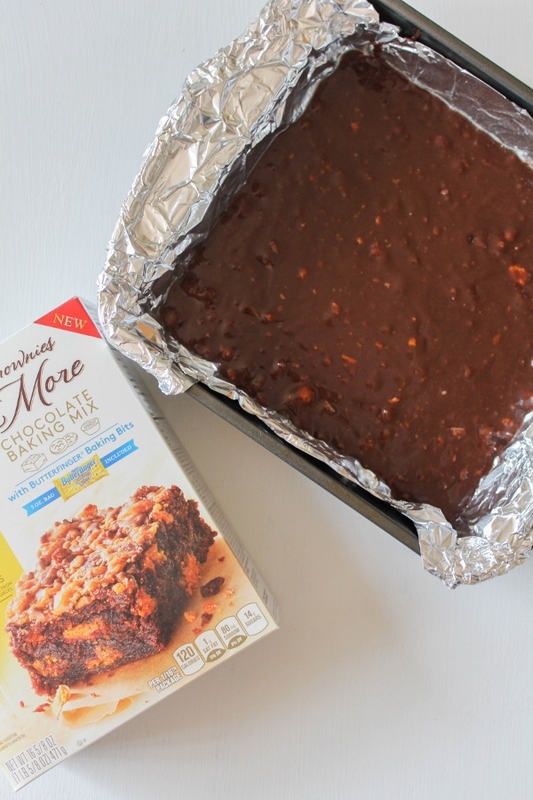 Cut the brownies into 64 small squares. Place half of the squares in the bottom of a large trifle bowl. Pour half of the pudding over the brownies in the bowl, then top with half of the whipped topping. Repeat with the remaining brownies, pudding, and whipped topping. Cover and refrigerate at least 4 hours. 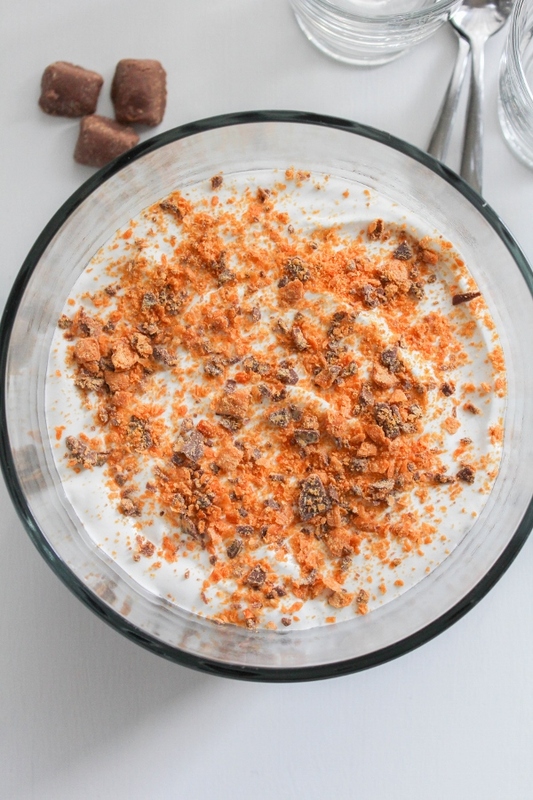 Just before serving, sprinkle the trifle with the chopped Butterfinger bites. Store any leftovers covered in the refrigerator. 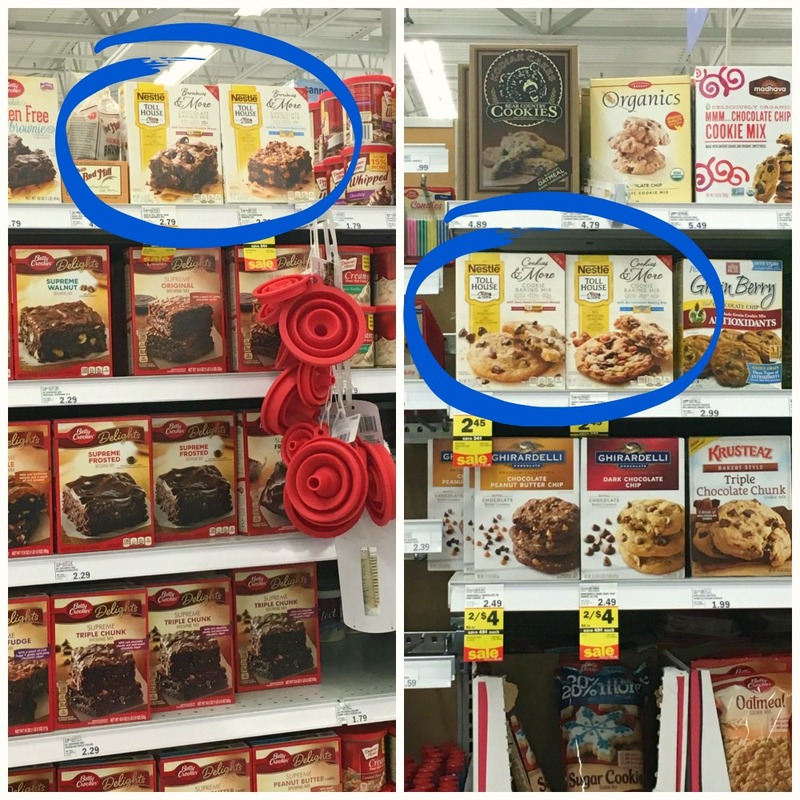 You can find the whole line of Nestle Toll House Baking Mixes at your local Meijer in the Baking aisle! Get recipes and learn more about Nestle Toll House by following them on Facebook, Twitter, Instagram and Pinterest.